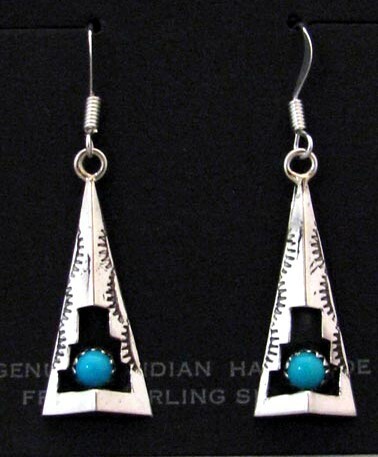 These triangle-shaped sterling silver earrings have classic stamping and the kiva steps or altar cut-out to make a shadowbox setting for the single Turquoise stone. 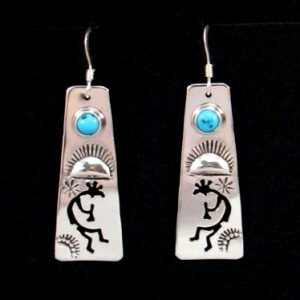 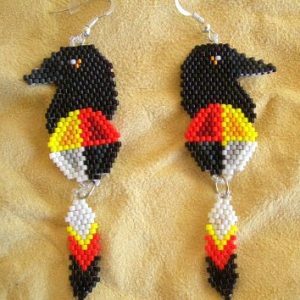 They were made by Navajo silversmith Gaynell Perry. 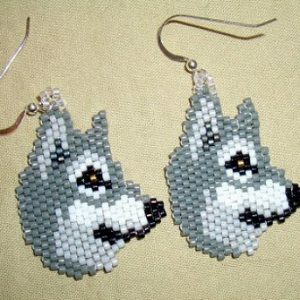 The earrings drop 1.75 in. 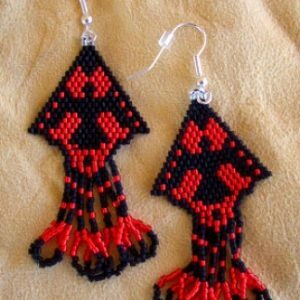 on French Wires.